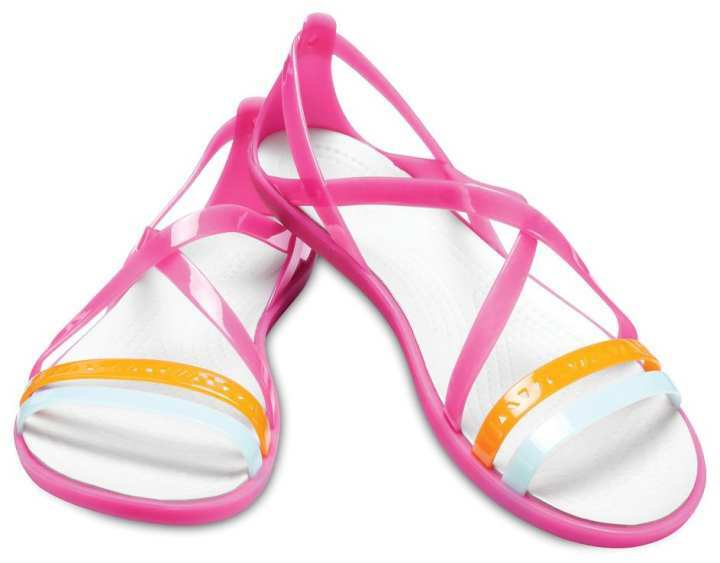 Crocs' popular Isabella sandals, updated with a subtle tribal pattern die-cut into the center straps that mingles well with the multi-colored cross-straps. With uppers constructed of soft, flexible Gemlite™, they’ll feel broken-in from day one. Incredibly lightweight Croslite™ foam footbeds carry you in comfort through the longest days of the year.